Crew is committed to peer education. 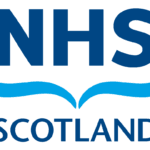 We give young people and adults the training and support they need to engage with members of their own communities and provide them with accurate information on drugs and sexual health. Volunteer peer educators are the lifeblood of Crew – we simply could not do the work we do without them! With so much going on volunteers can tailor their experience to suit their interests and their goals – it’s an opportunity to build new skills and confidence while giving back to the community. We provide volunteers with in-depth training and support including regular one-to-one support and supervision, a quarterly volunteer forum and regular socials, making it a great way to meet new people and be part of a team. We also cover all travel and lunch expenses. If you’d like to find out more about volunteering or want to know when our next intake is, please email Jimmy or visit our Drop-in. Volunteers have lots of opportunity to go on essential training and further development…volunteers are all in this together and work as a team with all Crew members including staff. Crew is open-minded and different backgrounds don’t come into it for both volunteers and clients. Everyone is welcome and treated just the same. As a transgender person I was not questioned, I don’t feel unusual, just natural, they are the only organisation that have been like that. Crew is committed to involving volunteers in improving and developing services. Investing in Volunteers is the UK quality standard award for all organisations which involve volunteers in their work. 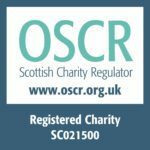 The standards enable organisations to comprehensively review their volunteer management and publicly demonstrate their commitment to volunteering and volunteers. Our achievement of this award is a testament to how well we treat our volunteers, but we’re always looking for feedback to find out how we can make things even better! 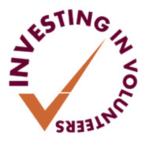 If you’d like to find out more about the Investing in Volunteers standard, visit the Investing in Volunteers website.